This posts starts with me on a plane headed to Panama furiously typing ideas for the final Charcutepalooza challenge. 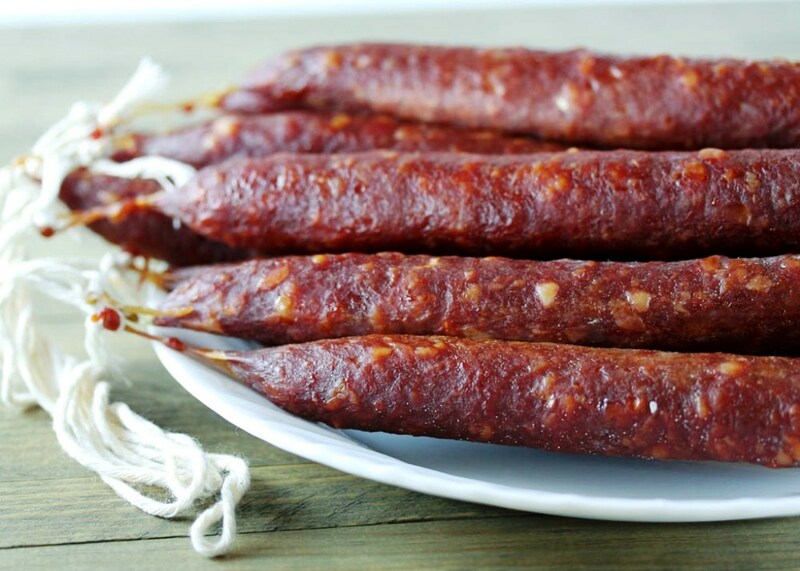 I wondered whether my three large home-cured Spanish chorizos, which I carefully packed into my checked bag, would be confiscated or would make it to my destination. I can’t believe I made it this far along. 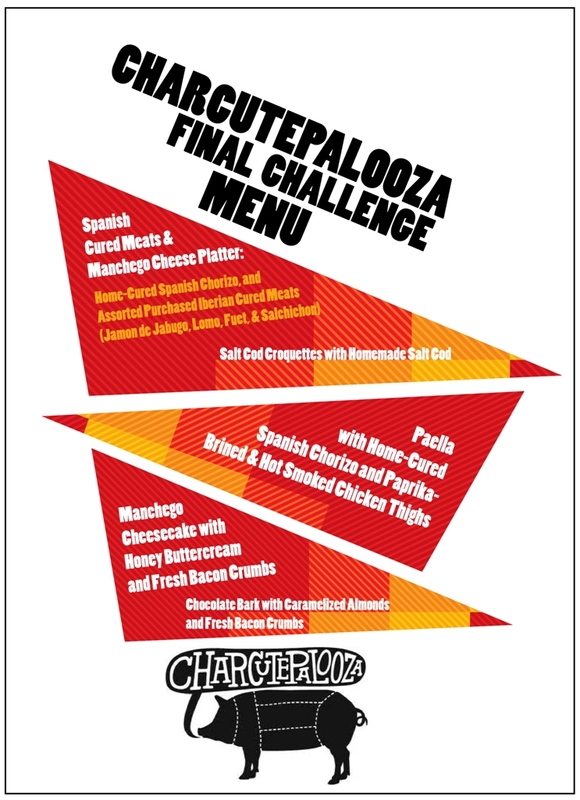 Typically, I dedicated one weekend a month to the charcutepalooza challenge. Technique-wise, I’ve cut down ducks, trimmed down pork bellies, salted/brined/smoked fish, ground meats, stuffed and cured sausages, made pates and rillettes, and learned how to butcher and use up all parts of a pig. 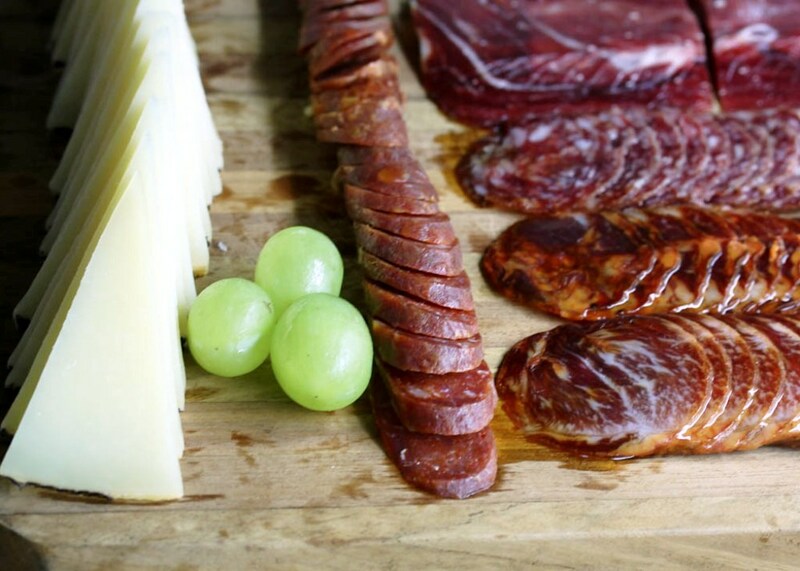 But most importantly I’ve met so many fabulous people who share my passion for charcuterie: other charcutepalooza participants, and local farmers and butchers. Needless to say, it was difficult to decide what to make given all the options. I finally settled for a meal with a Spanish twist using my favorite Charcutepalooza items: Spanish chorizo, salt cod, brined/smoked chicken, and unsmoked bacon. There were challenges in procuring the ingredients for the meal. It took three tries to get pork belly for bacon, and we don’t have fresh cod in Panama (at least not according to fishmongers at the seafood market) so I had to use another kind of fish–and I don’t think I dare say what kind of fish I used. But in the end, it all worked out. 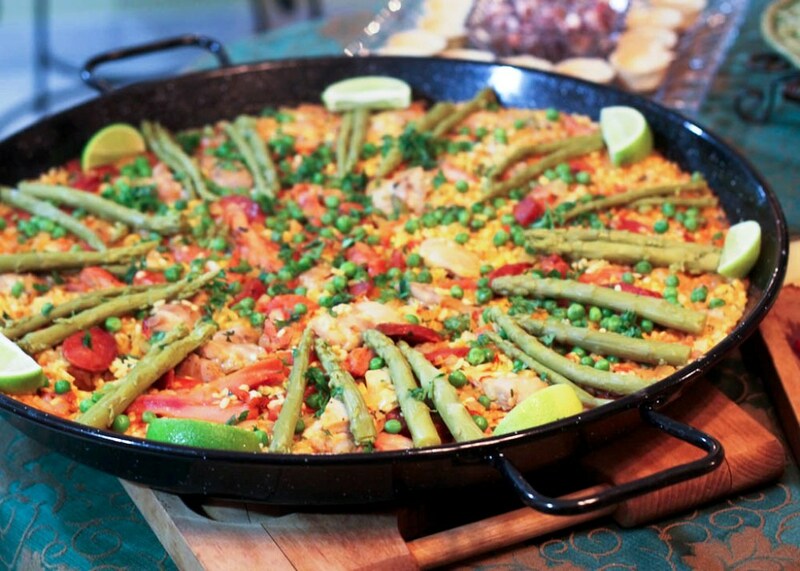 We love Spanish food, and don’t need any excuses to throw a paella party. Every dish was a hit with my family. I’ve been making salt cod croquettes and paella for a long time, and to be honest I never really use a recipe for either. So this was a great opportunity to get both down on paper. 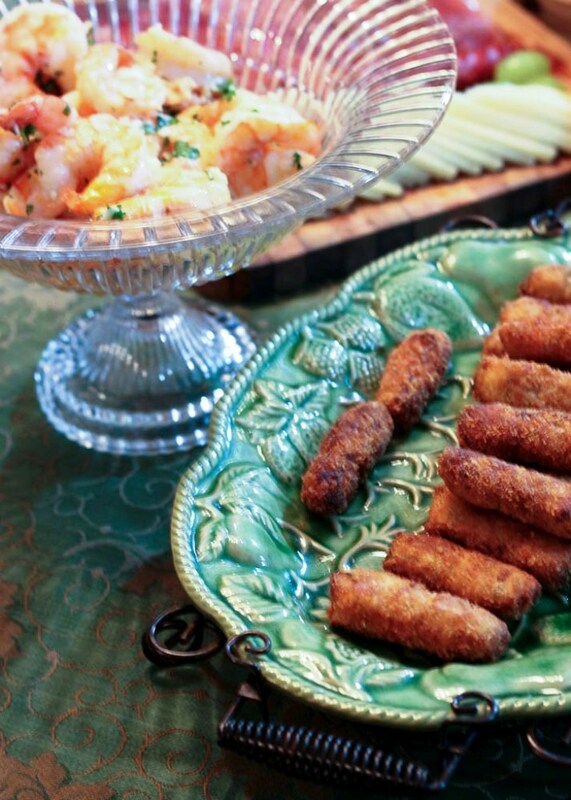 The croquettes are easy to make and delicious. They are a mix of salt cod and bechamel sauce: super tender and creamy on the inside, and crunchy on the outside. 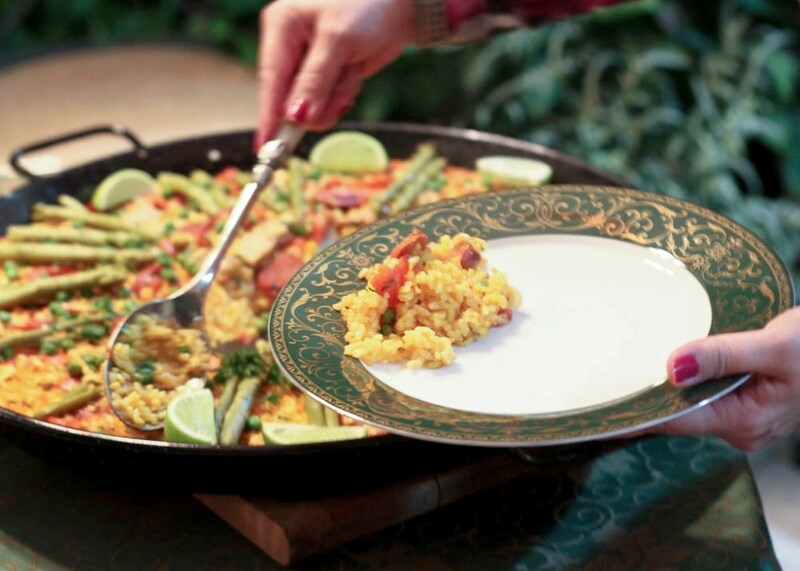 Usually, I would make paella with several different types of seafood. 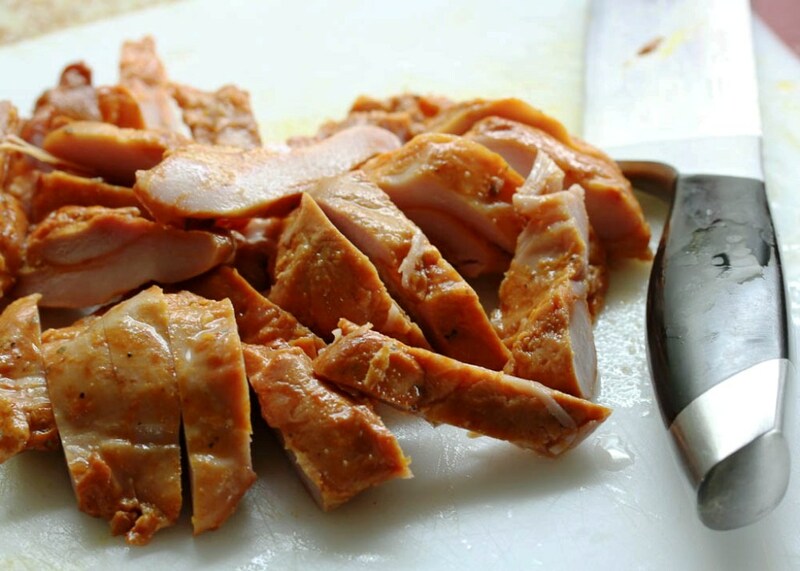 However, this time I used only Spanish chorizo and brined/smoked chicken thighs. I wanted to use rabbit, but couldn’t find any. The paella came out great, the smoky taste from the chicken thighs went well with the spicy and earthy Spanish chorizo. Finally, for dessert I used crispy, crumbled bacon in two dishes. I had never made the Manchego cheesecake before and was afraid that it would turn out to be a weird combination of flavors. I was pleasantly surprised to discover that the flavors go really well together. It is definitely not a common dessert. 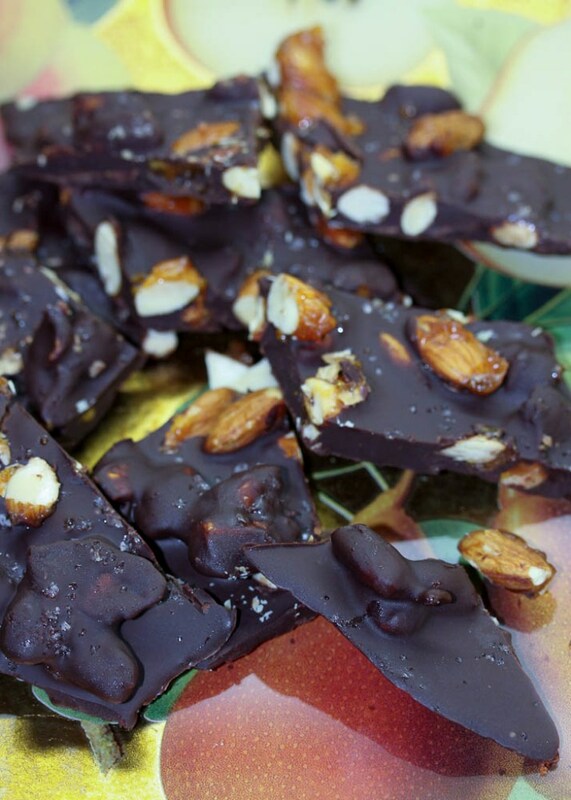 Now, for the chocolate bark, the bacon really tempers the sweetness from the chocolate and adds a nice crunch. 1. Place the salt cod in water overnight, changing the water several times to remove extra salt. 2. Drain the salt cod well, and dry with paper towels. Flake the salt cod into small pieces. 3. In a large skillet, over medium heat, cook the onion and garlic until soft. Add the flaked salt cod and cook for an additional 5 minutes. 4. Add the parsley and flour, cook for 5 minutes. Add in the milk, and cook until thickened. Taste the mixture and add salt and pepper as needed. 5. Place the mixture in a shallow dish and put in the refrigerator until it is cold and firm, 1 to 2 hours. 6. Form the croquettes by taking about 2 tablespoons of the mixture and shape the mixture into a little log about 3 inches long. Prepare 3 shallow dishes: one with flour, one with the whisked eggs, and one with the panko breadcrumbs. Dredge the croquette in flour, then carefully roll it in the egg, then dredge in panko breadcrumbs. 7. 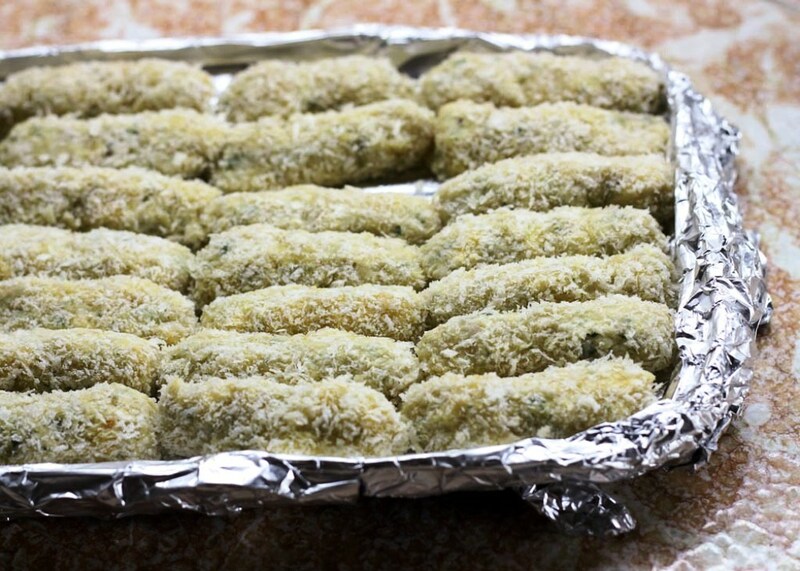 Refrigerate the croquettes until you are ready to fry them. 8. Fry the croquettes in canola oil, until brown and crisp. Serve immediately. 1. In a large pot, place the chicken broth and saffron and bring to a simmer. Taste the chicken broth and add a little salt if necessary. 2. In a 26 inch paella pan, over medium heat, add olive oil. You need enough oil to coat the bottom of the pan, about ¼ cup. Add the chorizo slices and cook until it starts to brown and release some fat. Add in the onion, and cook for about 5 minutes or until soft. Add in the garlic and rice, stirring it well to coat it with oil. If the pan is too dry you can add a bit more olive oil. Toast the rice for 5 minutes. Add in paprika, the tomatoes, smoked chicken thighs, and ¾ of the broth. Cook and stir for about 5 minutes. Do not stir the rice from this point on. 3. When the rice has absorbed about half of the liquid, add in the frozen peas. 4. Cook until liquid is absorbed and the rice is almost done, about 20 minutes. If your rice is not done yet, add more liquid, cook for another 5 minutes and taste for doneness again. 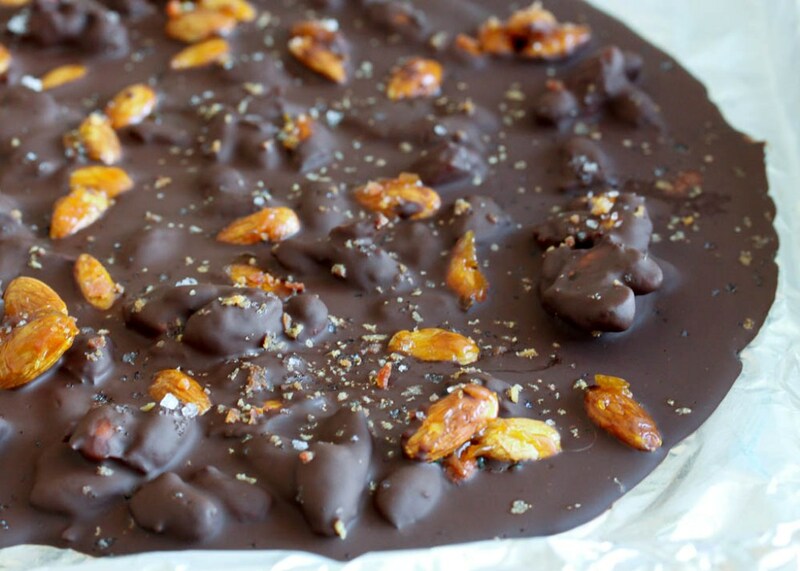 Cover with foil and let stand 10 minutes. If you want some socarrat, the caramelized layer of crusty rice, at this point place the uncovered pan over high heat for 5 minutes or until the socarrat has developed. 1. Pre-heat oven to 350°F. Butter a tart pan and set aside. 2. Place Maria cookies in the bowl of a food processor and process until you have fine crumbs. In a large bowl, mix the crumbs with the melted butter. Press the crust into the tart pan, making sure you get an even layer and an even border. Refrigerate until ready to use. 3. In a food processor, add the shredded Manchego cheese, and milk. Process until ingredients are incorporated. 4. In the bowl of an electric mixer, beat the cream cheese until creamy. Add in the milk, sugar, cornstarch and egg. Beat in the sour cream. Do not incorporate too much air while beating. 5. Add the cheese mixture into the prepared crust, and bake 30-40 minutes, until the center is feels slightly firm. Let the tart cool for 1 hour. 6. Make the buttercream. In the bowl of an electric mixer, beat the butter until creamy, and beat in the honey. Slowly beat in the sugar. 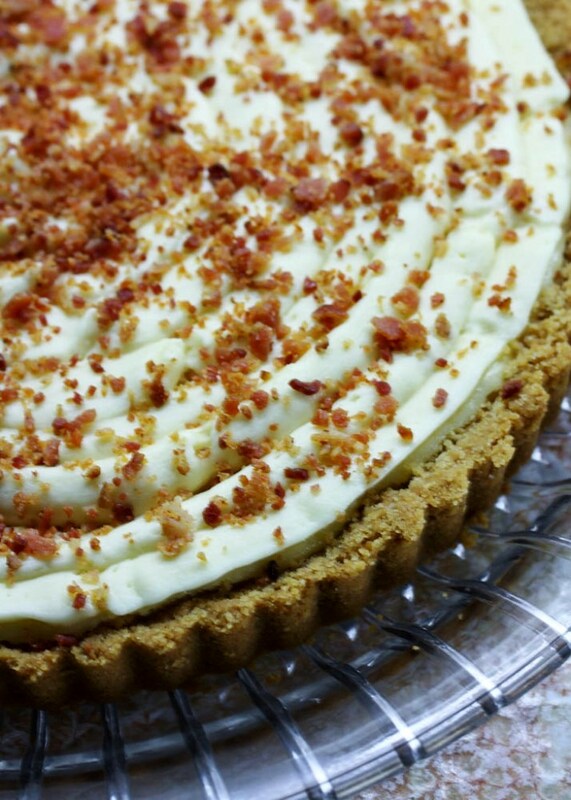 Pipe the buttercream over the cooled tart, and sprinkle with bacon. You can find the recipe here. I added some crispy fresh bacon (unsmoked) crumbs after sprinkling with salt. Brine: p. 66 and add 1 tablespoon bittersweet smoked paprika, brine chicken thighs for 1.5 hours. Smoking Chicken Thighs: pp. 73-79. I smoked the chicken thighs on a stove top smoker until they registered 160°F. I can’t believe the year of meat is over. I will miss our monthly twitter discussions, the vast array of monthly charcutepalooza blog posts full of creative ideas, and the amazing charcutepalooza community. It has been a great year. Thank you to Cathy and Kim, who started it all. Also, thanks to Michael Ruhlman, and Bob del Grosso, for offering advice and answering our numerous questions. And thanks to my brother for designing the fab menu for my blog post! This meal is brilliant, just brilliant. You really and truly showed off your (extensive) skills in this post. High five my friend! So pleased to have had you by my side along this jolly journey!!! Mardi, it was such a pleasure to share this journey with you! Very nice, especially so since international travel was involved. 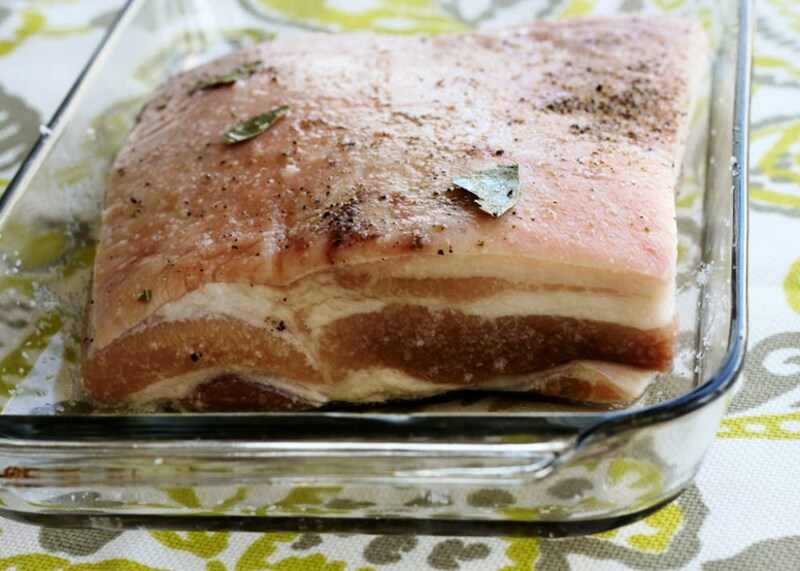 How do you say pork belly in Spanish? More complex than I thought, I had to order “7 libras de costillas de cerdo con tocino en una sola pieza,” which means 7 pounds of pork ribs with bacon in one piece. I then had to remove the ribs myself. I failed to mention the “one piece” part the first time, and received 7lbs, sliced. Olga, thanks for your support and for being a willing charcutepalooza taster! 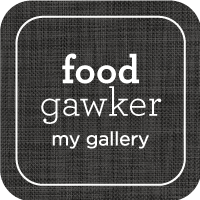 Another inspiring meal – and I love the menu. My fisherman cousin just gave me some salt cod last night. Now I know what to make! Everything you served looks delicious, but I have to say the croquetas are making me particularly hungry right now 🙂 Congrats on a gorgeous meal! Thanks Gio, it was a pleasure to share it with you! Brilliant post and well done on your achievements. What a beautiful and tasty dinner! Thank you for publishing the recipe for the Croquetas de Bacalao! What a wonderful idea! I often have salt cod in the winter and you have inspired me to try the croquettes. Spanish chorizo did not occur in my year of Charcutepalooza but it will certainly be in the years to come! Great post! Thanks Linda! The salt cod croquettes are delicious, I hope you try them. What a wonderful charcutepaloozian feast!